How to do it: Find a straight putt and place three balls on the green, five feet away from the hole. Then, walking from right to left, scatter six more balls in a mushroom shape around the hole. Your goal is to make all nine putts in a row, ending with the three straight putts. How it helps: You get accustomed to hitting various putts of different lengths and breaks. The final three putts are the easiest but also the most pressure-packed. They simulate the pressure you’ll feel over birdie and par putts and will train you to knock them in. 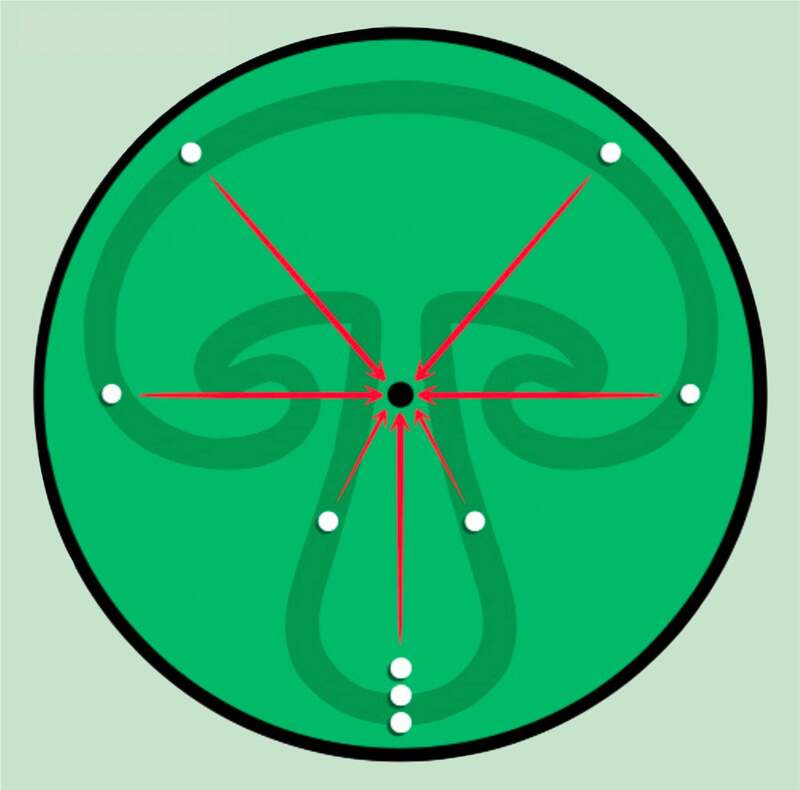 How to do it: Place eight balls on the green at three feet, circling the hole, then two more balls on both sides at four and five feet. 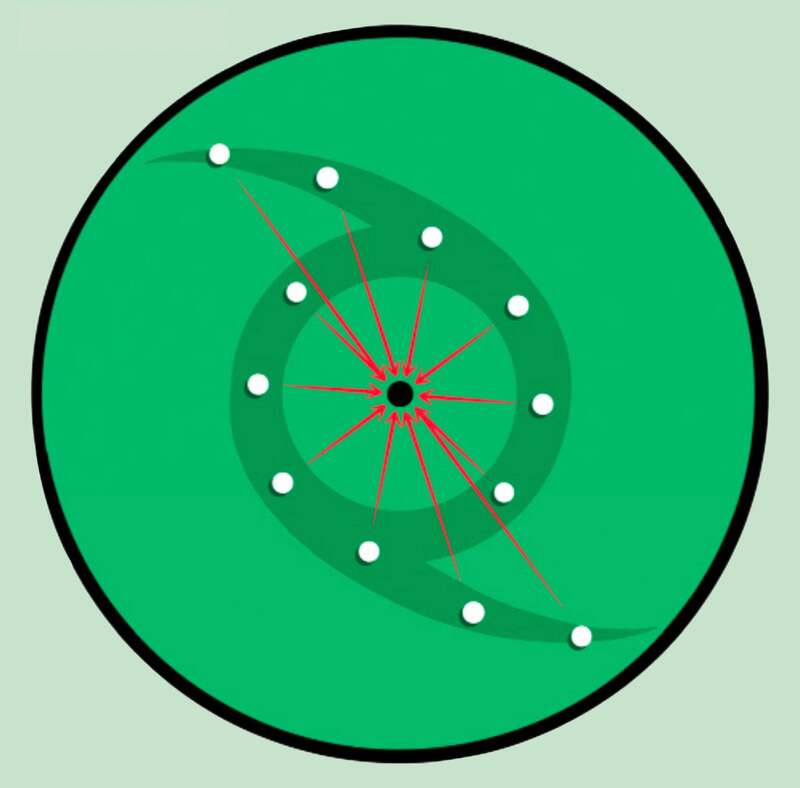 The shape should resemble a hurricane icon, with the hole itself acting as the eye of the storm. Your goal is to make all 10 in a row. How it helps: Instead of hitting the same three-foot putt without much thought, you have to adjust for different breaks on every short putt. Make the first six putts and you’ll be feeling the pressure on the last four, which are also the most difficult putts to manage. Mark Broadie: Are Augusta National’s greens really that hard?